You know how it is when you have little ones, they leave their tiny, sticky handprints wherever they go... But as the poem reminds us, they'll soon be grown, and maybe one day you'll miss those little prints over everything. 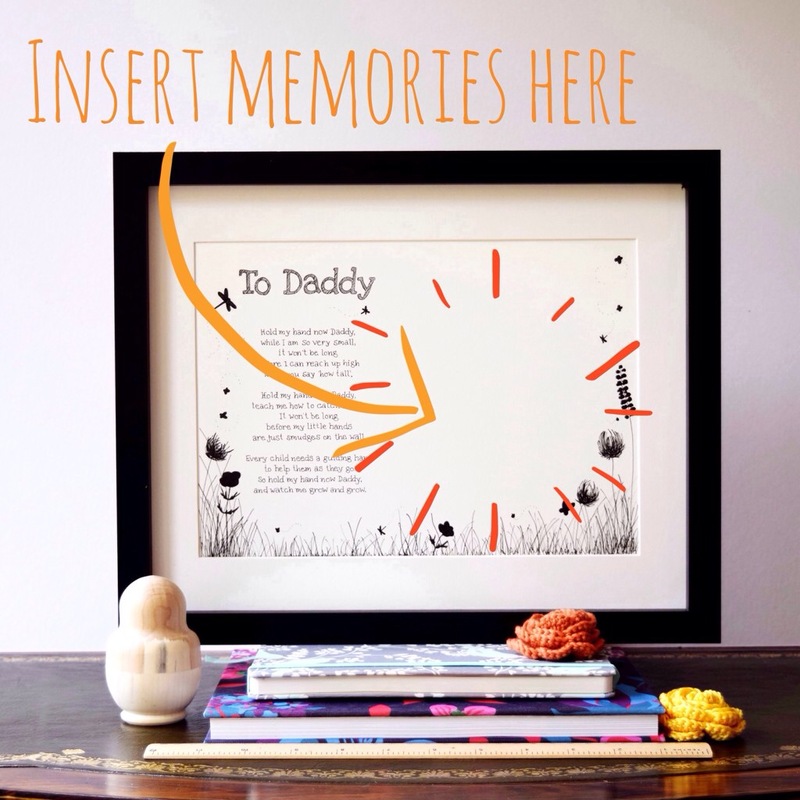 Now, with the little handprints picture kit, you can keep a lasting memento of just how little those hands once were. 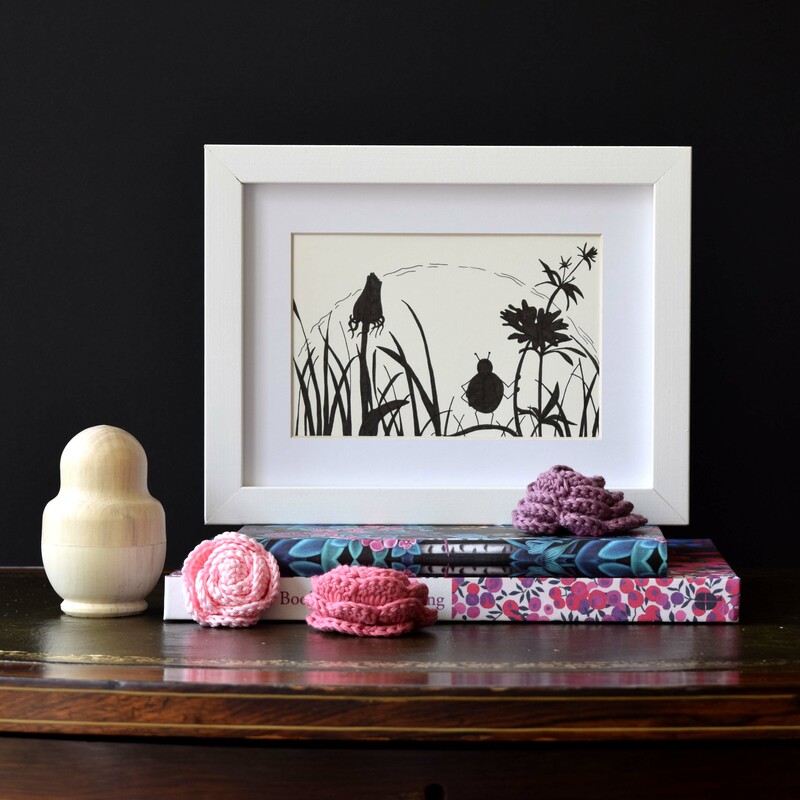 Beautiful little birds, butterflies, flowers, bees and more are hand drawn in pen and ink, around a captivating poem, reminding us just how fleeting this time really is. 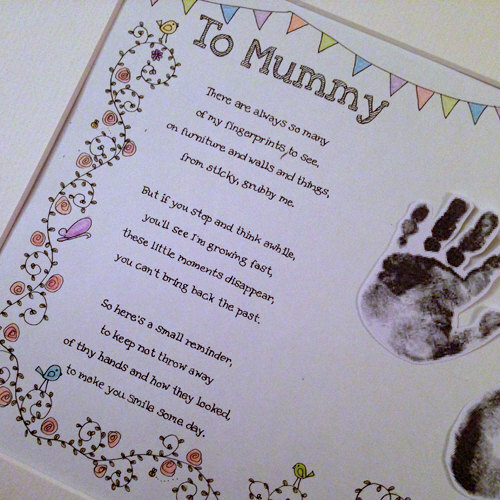 Each picture kit includes everything you need to create the perfect present for any mummy, mum, mom or mother. 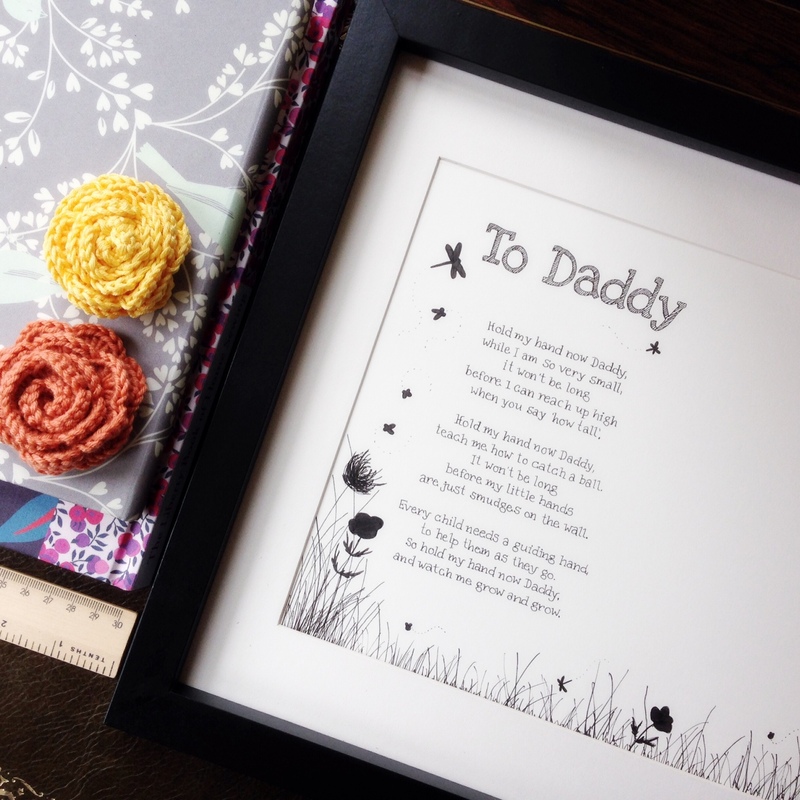 The kit comprises: little handprints poem, with space for handprints, 40 x 30cm frame, mount and kiddie safe washable ink pad, in your choice of colour. We also put in a practice sheet for you, so you can get those prints just right, without worry. 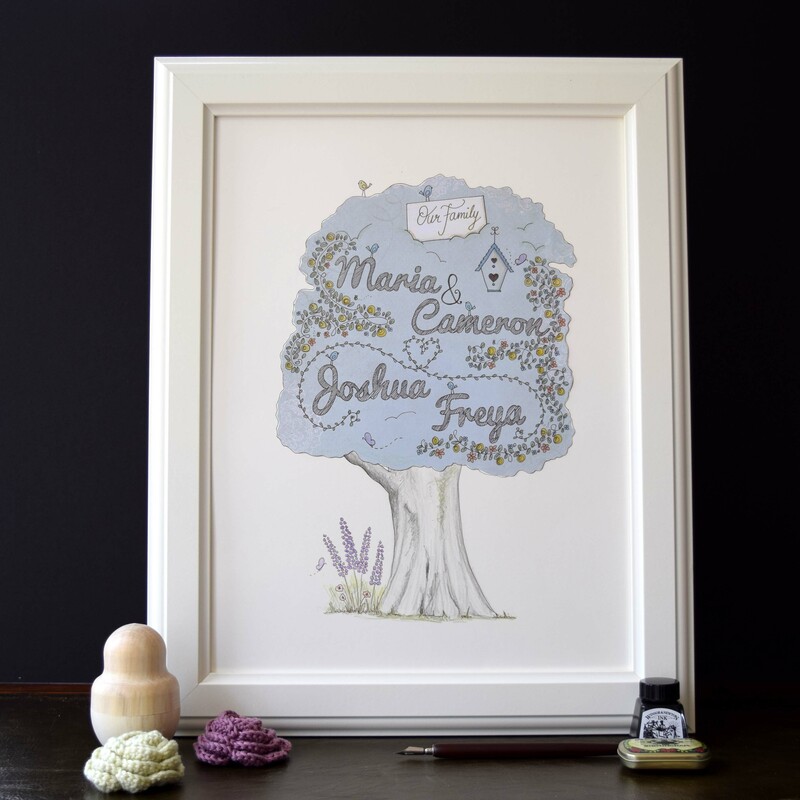 Choose from a black or white frame plus your choice of washable ink colour: black, green, blue, pink or purple. 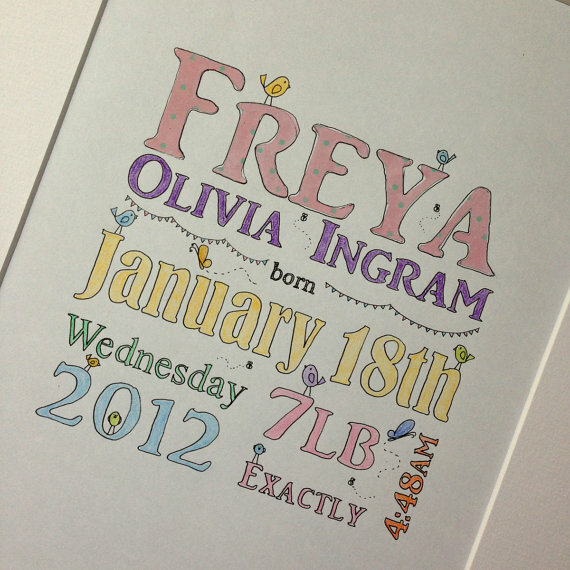 The ink pad is designed for use by children and is completely safe and non toxic. Other illustrations you may like..